What would be the ideal way in order to achieve a shape like the model provided, using this sample displacement map? 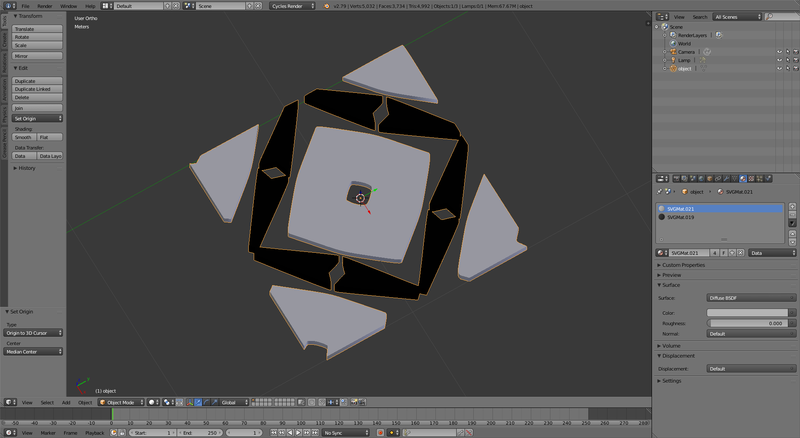 I plan on using multiple tilable patterns to create models to 3D print, what would be the ideal solution? The reason I need this to be tilable as a height or displacement map is because I plan to apply it to objects that aren't simply a flat surface as if it was a texture file. 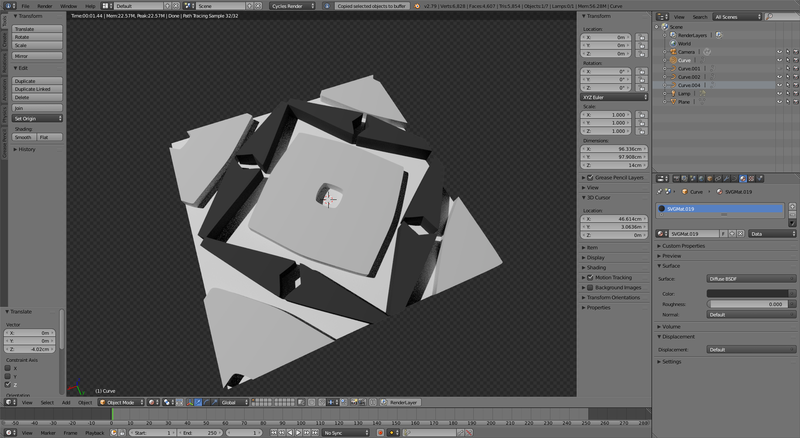 Give it a Subdivision Surface modifier with a Subdivisions value of 4. Give it a Displace modifier. Choose Texture Coordinates > UV. 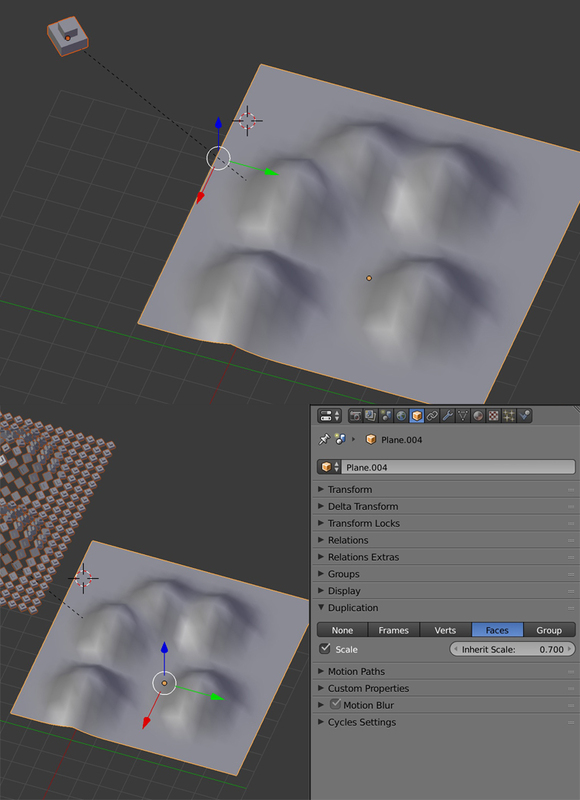 Load your texture in the Properties panel > Texture (I've used one of yours and convert it to a DISP with CrazyBump), and select it in the modifier. 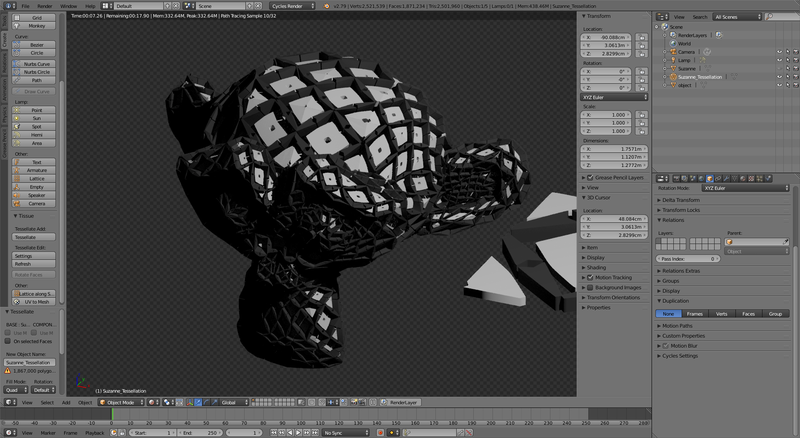 Put a second Subdivision Surface modifier below the Displace modifier. 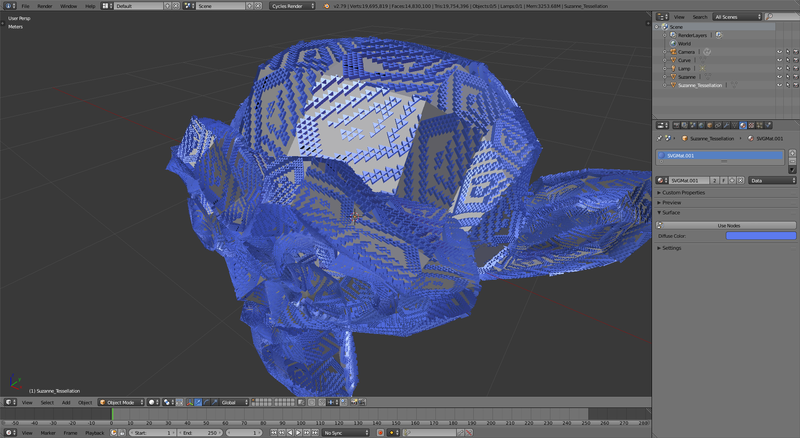 Create your pattern object, create your 3D surface. 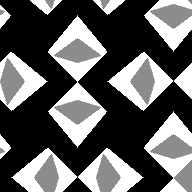 Select your pattern object, then your surface. Open the Tools panel > Create tab > Tissue, click on the Tessellate, choose the options you want, validate with the OK button. You have a new object. You'll probably have to remove doubles. 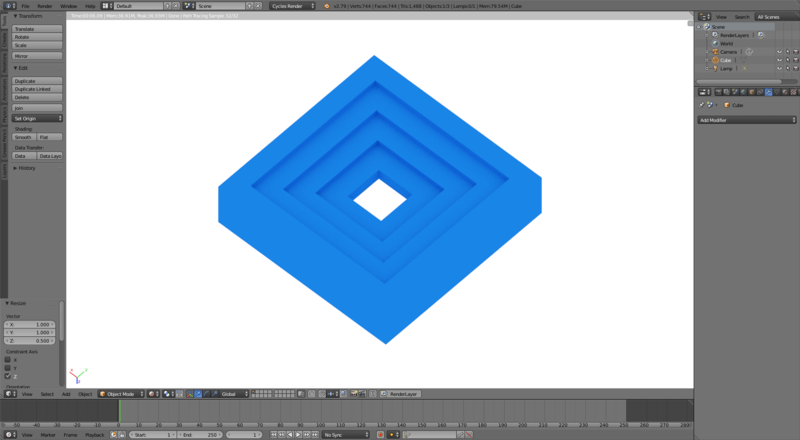 Select your pattern object, parent it to your 3D surface. Select your 3D surface, go in the Properties panel > Object > Duplication > click on Faces, activate Scale and choose the Inherit Scale value. If your surface has a lot of faces you'll have as many duplications. To make the object editable, press shiftctrlA. 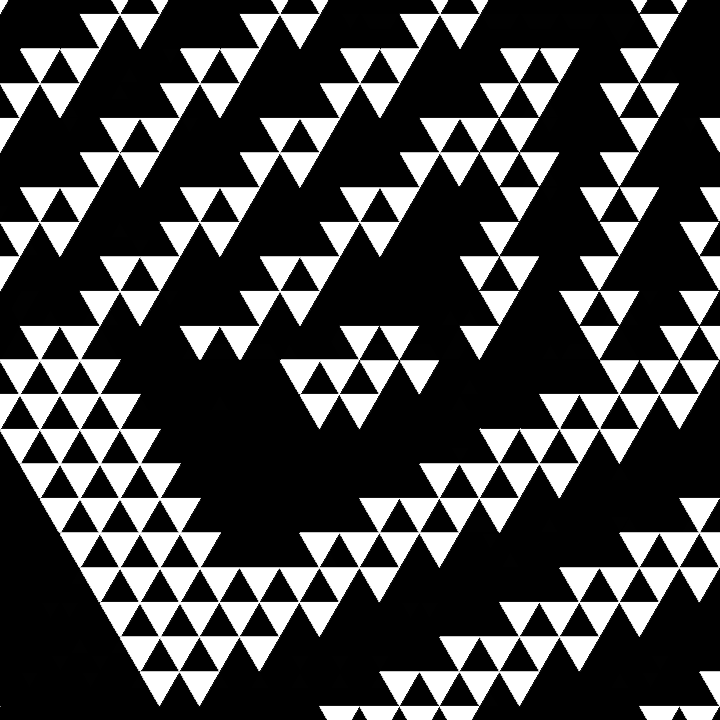 Use SVGs to create the geometry for the tilable surface. The first is that the resolution of the image will play a crucial role in the shape: pixels are always square and terrible to describe diagonal lines or curves. But even when using a with a very large image to drive the displacement on a highly subdivided mesh, the problem is going to be creating geometry that adjusts to the shapes on the image. You would still find some inaccuracies when the pixels in the image do not align with the vertices to be displaced. Therefore I suggest using curves. 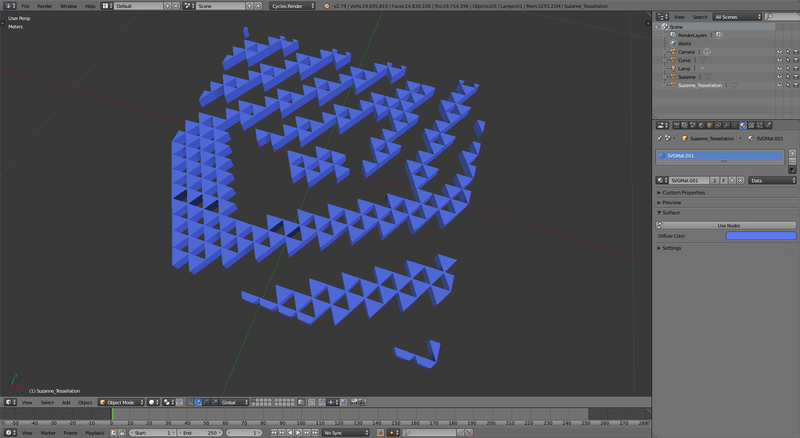 Then import the SVGs into blender, they will be curve objects. Give the curves some extrusion, or use the original images to drive the displacement. You will get very precise borders with an adequate number of vertices that should 3D print nicely. 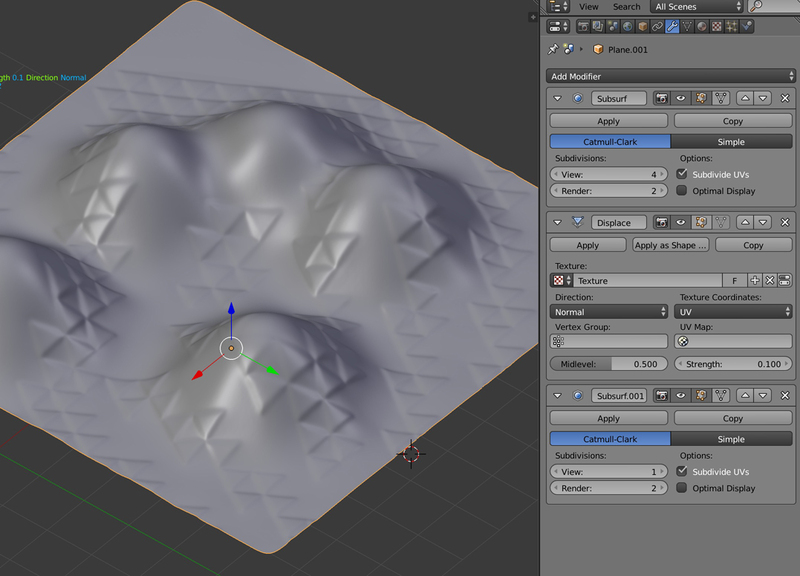 and then use the tissue addon, as suggested by @moonboots, to create a surface using your base object. Not the answer you're looking for? Browse other questions tagged modifiers normal-map displacement or ask your own question. Why can't I import a SVG file from Adobe Illustrator or Inkscape? 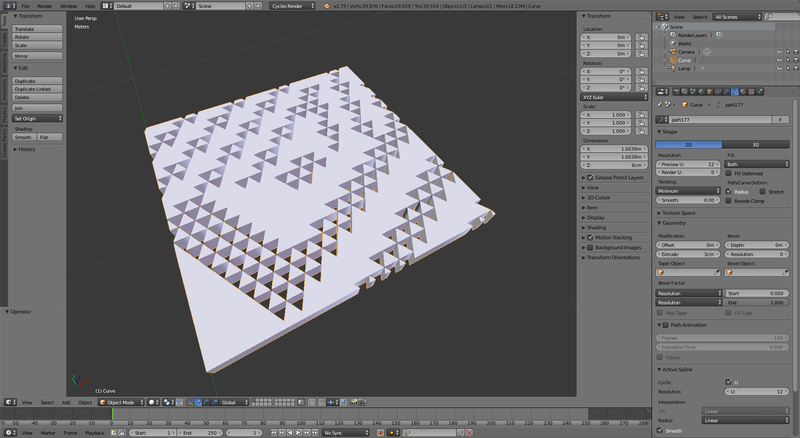 How can I most efficiently subdivide a plane in a brick/tile-like pattern in order to generate geometric complexity for displacement mapping? Normal Map + Micro Displacement = Bug?